Harmony will optimize the order in which devices power on based on which devices take the longest to turn on. Sometimes this needs further customization if, for example, you need a certain device to turn on before or after another device. Select the Activity you wish to modify. Tap the grid then drag and drop to change the device power on order. Select the Activity for which you would like to adjust power on ordering for (ie. Watch a Movie). Click on Customize this Activity. Hover your mouse over the reordering icon on the left, then drag and drop to change the order. 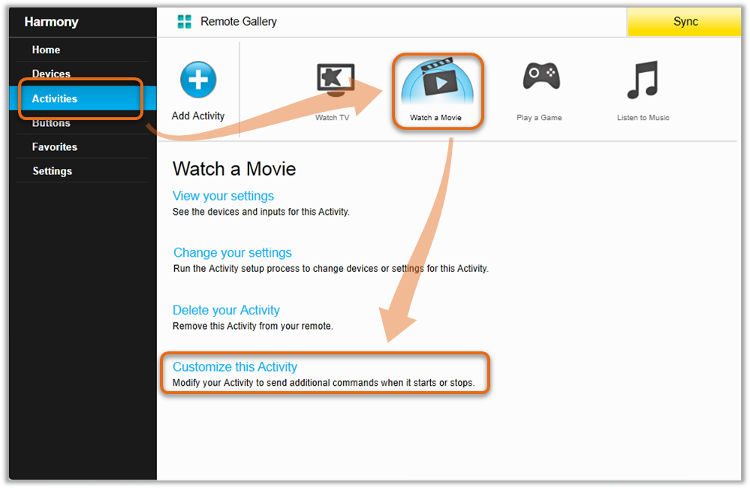 You can also specify the order in which devices power off by clicking the Activity shutdown commands section on the customization screen. 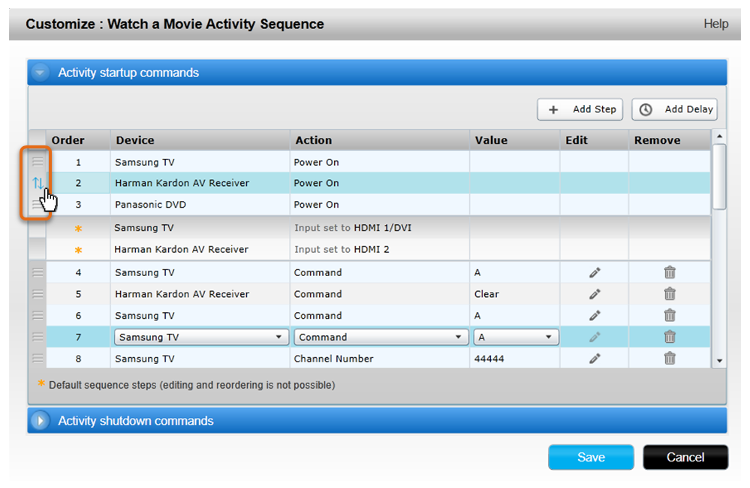 Harmony will send the input command as soon as that device is powered on, so it is not possible to reorder inputs. Select the device you'd like to modify and tap Modify Start Up. Tap Sequence, then drag and drop your devices in your desired start-up order.